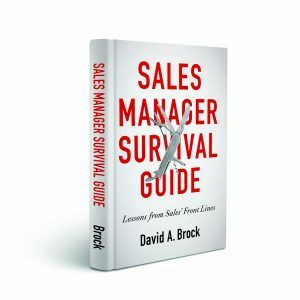 Since our conversation, I’ve thought about the topic a lot, can a great sales person sell anything? I suppose there are some elements of truth to it. The examples I keep coming back to are things like, selling a car, working as a sales person in a big box store, selling insurance. Each requires great talents and skills to be successful. At the lowest levels, the steps are the same—find an interested prospect, determine their needs, present a solution that meets their needs and compels them to buy, ask for the order. I also suppose that I could sell cars, or in retail, or even insurance. I could probably close a few deals—but could I sustain my performance? Could I beat my targets year in and year out? While I probably could close a few deals, I’m not sure I could sell in a B2C environment. There are even some B2B environments I’d probably struggle at. All kidding aside, the job of a car sales person is really difficult. It’s basically a one call sales cycle—establishing a quick relationship, developing the level of trust necessary for the transaction, and completing the transaction in one call—possibly with hostile/distrustful customers. It takes me a while to build a relationship, I want to really get into the customer’s problems, issues and goals. I also may be a little slower, I like to reflect on the customer situation and think about the best approach to solve their problem. I can’t necessarily do that in an hour or so that a car salesperson might have. I certainly couldn’t do it in the few minutes a big box sales person might have. Then there’s this thing called passion. Part of being a great sales person is being excited and passionate about what you are selling. Years ago, I was Vice President of Sales for a technology company. They had a wide product line. The core products were, for me, uninspiring—I was really excited about a few product lines that were more complex, much more interesting. I spent a lot of time looking at those product lines, helping sales people on those deals—but had great difficulty with the core products—the one’s that paid the bills. It was a real struggle for me. We met our goals—but if they had relied on me to do the deals, we wouldn’t have. Fortunately, we had sales people that were passionate about the core products. A rose by any other name is still a rose—but selling is not selling is not selling. While at its core, B2B and B2C selling may be similar, to be successful requires very different skills, competencies and attitudes. Both are challenging, but for different reasons. One is no better than the others, though there is a lot of posturing about B2B and B2C. Both are challenging, they each require passion, great skills, real competencies. But they are different! I am with you 100%. Even in the very narrow market my company serves I see it. You are correct, the principles are same but the people (reps and customers) are not. You are spot on with this analysis David. I agree with your contention that a good salesperson can sell anything. Having said that, I feel that an excellent salesperson is one who only sells what the prospect needs/wants and not just something the salesperson wants sold. Another thought. I agree that while a good salesperson can sell anything, the real good ones know what they sell best. There are excellent automobile salespeople who would not be as comfortable selling in a B2B sales environment. The selling environment we work within matters as does what we are asked to sell. Brian, thanks for the comment–actually, I may have miscommunicated. I don’t believe great sales people can sell anything—at least day in day out. While the underlying principles are similar, the environment, sales cycles, relationships, …….. are very different, requiring differing skills, strengths, etc. For example, each of us probably could sell a car, but to do that successfully, every day is something that I couldn’t do. And, as you point out the opposite is true. There is selling and there is professional selling (or consultant, or complex). A good salesperson is not necessarily a good professional salesperson. In B2B we have to convince our customer with the facts. And when the facts are not enough, we are able to discuss with the customer the right way to tailor not only a product, not only a service, but a solution. I wish you all a 2011 full of opportunity! Thanks for the great comment Ivano–and for your contributions to the blog this year, best wishes for 2011! A good salesperson can sell anything, but a great salesperson knows better. I’ve read a lot of your blogs and always find them very insightful and interesting. I don’t usually leave a reply mainly due to time constraints, but ‘taking part’ is one of my new year resolutions for 2011 so here goes. I also agree 100% with what you say and the distinction you make between different sales environments. A good salesperson probably could sell anything…but not everything. A good salesperson not only needs to be passionate about what they sell, but also needs to research and have information to hand. These are prerequisites to selling which take a lot of time and an ‘interest’ in order to compile, whether it’s B2B or B2C. I meet B2B reps all the time in my work and I deal with customers directly. I don’t know if I would like to do their job but they definitely couldn’t do mine! A Happy & Prosperous 2011! John: Thanks for joining the discussion and for the very nice words! Good for you for starting to participate in the social media world–I think you’ll find it interesting. Your comment is right on target–passion, knowledge, expertise, curiosity are all critical for sales. It’s not about going through the motions, it’s about getting deeply engaged with the customer. It will be great to have you as a contributor to the blog. Best wishes for 2011! David, agree with your insightful sharing. Just my rough idea – it depends on what the particular motivation is of the salesperson whether he/she CAN sell the stuff successfully day in day out. Financial payback normally light the passion in short term while the vision, or the sense of achievement to make the vision happen, is the consistent driving force to turn the seller to a “great salesperson” out of hundreds of peers. So this may vary as the motivation is deeply associated with individual values and background. Hard to say a succesful salesperson for fast moving consumer goods can well fit the position of technology account manager. Thomas, great comments, thanks for contributing! A well-conceived and thought provoking article. Your COO friend’s statement that “sales is in the blood” betrays a simplistic view of the trade and one that is far too prevalent. This way of thinking precludes many potentially excellent salespeople from opportunities. Implicit in his statement is that there is a “sales type” (outgoing, affable, attractive, eloquent, driven etc.) and those attributes are the only relevant success factors. It also completely ignores the idea that talented, professional, passionate and competent sales people can fail miserably due to a staggering number of variables like product or service quality, marketing support, competition, company politics and trends in the economy, to name a few. I don’t completely disagree that successful salespeople have some common characteristics, I just quibble with the idea that you can place a “sales type” in any situation and the outcome will be positive. Hiring according to that standard is shortsighted and places the entire burden for success on the shoulders of a single individual. I know this is a bit “off-topic”, but perhaps it will provide fodder for a future column. Tom, thanks for the thoughtful comment. I couldn’t agree more. Actually your your comment about common characteristics is not off topic. Some time ago I wrote an article on “what makes a great sales person,” I believe there are common characteristics of great sales people—that being, said, there is much more to being successful in a specific job. Great comment, thanks for contributing. Hope to see you here again! Regarding the comments others have given us, I would like to state the difference of what made the person in the first place to be considered a sales person. Some are what we call ‘born salespersons’ like true leaders for instance. Others may have grown in to the role by really beeing an expert within the field of his product. Both of them can be really succesful and would be considered as a good true salesman, however the difference between those two characters are enormous. The last person may could sell everything but simply doesn’t wish to do so. A good salesman is in either way passionate. Because he likes just the game of selling, or is just passionate about his product. Very thoughtful comment Thiji. I’d quibble a little–I don’t beleive their are born sales people or leaders. I believe there are characteristics that people are born with that may enable them to grow into great sales people with the right development, training, motivation……. Everyday we see people that have great potential, but fail to achieve it for a number of reasons that are not in-born. (But I may be gulity of wordsmithing a little). Passion is critical to performance—regardless the job. If you don’t have passion, you won’t be driven to excel. Thanks for the great contribution! I totally agree with you. The business sense is the key. Such as you say: find an interested prospect, determine their needs, present a solution that meets their needs and compels them to buy, ask for the order. It means that you always can put your in their shoes, you always can find what are their real needs and you always can provide the real help to them. Katherine, thanks for joining the discussion. I fully agree with;”A Good Salesperson Can Sell Anything”. Sales in his blood. When someone visit somewhere as a tourist. The normal guy just thinks how wonderful, excellent ,,,,,it is. A good salesman will think and check what can I do for my biz meanwhile. Colon, thanks for the comment. I would tend to take a slightly different view. A good sales person will be very selective-pursuing opportunitites that are in their “sweet spot” and not wasting their time on marginal opportunities. Our tendencies and competitiveness tends to make us want to chase every opportunity, but the really great sales people I encounter tend to be highly selective. What do you think? It’s pretty good, yes, “a sales man can sell anything”, when he is with full of wish and will. Actually, the factors around him determines the selling process. Rama: Thanks for the thoughtful comment. I tend to think it’s not just a matter of wish or will. I think there are much richer sets of skills and capabilities also necessary for success. Take, for example, the great sales person trying to move into high technology without the right knowledge of the technologies, etc. If they can recognize this shortcoming in their skills and are suitably motivated to overcome them, then they can be great in the new area. Thanks for contributing, I hope to see you commenting frequently! David, this is an excellent post. I do agree with you that it’s not always true that a good salesperson can sell anything. In my two decades of selling there have been instances where my sales team was unable to sell a new product, usually because the product was launched merely to raise revenue, not solve a client’s problem or meet a need. When that happens it’s a lose-lose. The salesperson is often labeled a failure and it’s a waste of a prospect’s time. Also, as someone who is trying to make a shift in his career, I’ve come to realize that while many people believe a good salesperson can sell anything, they are often not given a chance. Personally, I’ve sold TO high tech companies but am unable to get a foot in the door to sell FOR high tech companies. Quite frustrating. Bill: Really an interesting set of comments! Thanks for making them. The latter comment about great sales people breaking into a new industry is very interesting. I’ve often thought it’s very powerful to source some percent of your people from outside the industry—they bring fresh perspectives, ideas and new approaches. If we just hire from with in our own industry, we have the problem of becoming stale. Great sales people, with a passion for the products, solutions and customers, can ramp very quickly. More execs should look at the capabilities, skills, attitudes, and take the view they can train people in the product stuff. Thanks for taking the time to bring these great points into the discussion! 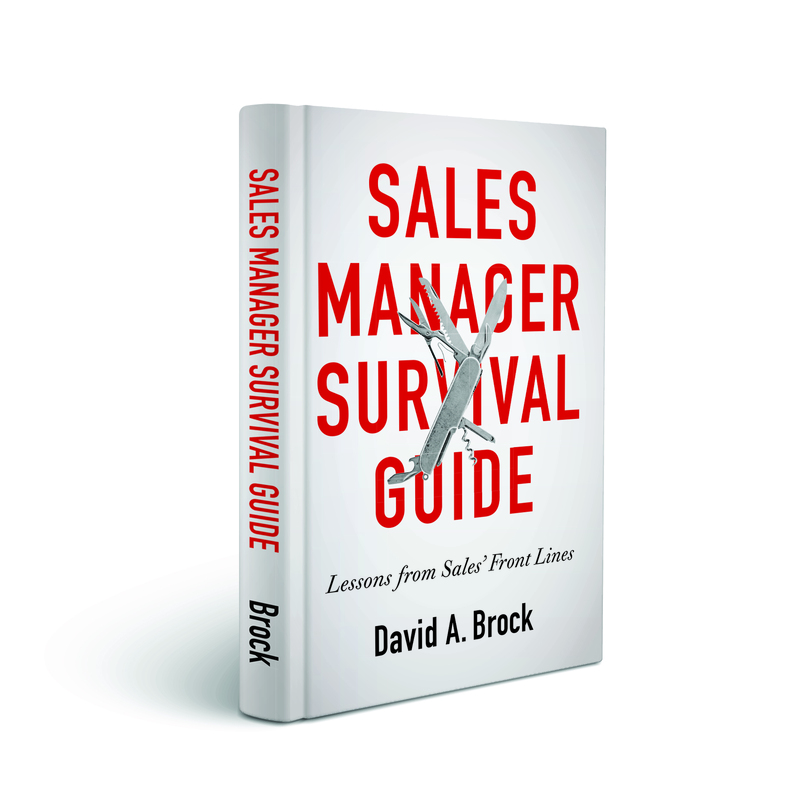 David, perhaps that would make an interesting blog post: How to shift your sales career from one industry to another. Recently I’ve been reaching out to many of my industry contacts trying to find that very answer. Frankly, it’s very frustrating. I’d be interested to learn how others have made that shift. For example, how they got a foot in the door or what contacts/assets they leveraged to make the move. I really like you points on ‘passion’. I have been beating my company’s sales target in the UK for roughly 2 years, and I know it for sure that without passion it would have been impossible! If you aren’t excited by what you do, it’s impossible to perform at the highest level. Thanks for joining the discussion and commenting! I have just read thru all of your comments and find them all very insightful. You need to target a ready, willing and capable buying segment of the market. You need to be knowledgeable, flexible and creative in your selling technique. I just wrote a long story about selling this project to a foreign speaking market in record time and had it returned because of an incorrect email address. So will not do that again. Regret not being able to attend your webinar on Thursday but would like to be a member of your Global Community. Jody, thanks for the comments and joining the conversation. While the basic principles of selling tend to be universal, the actual knowledge, skills, passion, experience is very varied—there are few individuals that can be successful, on a sustained basis, selling anything. There are some great salespeople who wouldn’t be successful selling at the CEO level. But, I cannot fathom why a great salespeople who can sell at the CE0 level – couldn’t sell anything. I have sold wedding videos to consumers and very technical projects to CEOs and have always been the top salesperson within every company I’ve worked. 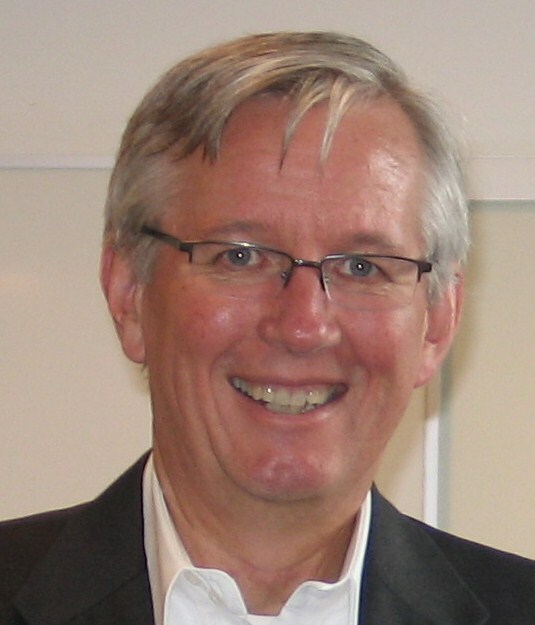 The intrinsic skills that enable one to be a successful salesperson should be transferable. That may not always be the case for varied reasons, but generally so. Sue: Thanks for the comment. You may be the exception. While the underlying principles are the same, there are tremendously different skills, attitudes, drivers involved in being successful with each type of selling. It’s not just a statement about skills or capabilities, but more around drive and attitude. Thanks for the comment.